It’s been awhile since they’ve been in (2006), but that old arena helps make that place an absolute loudhouse. 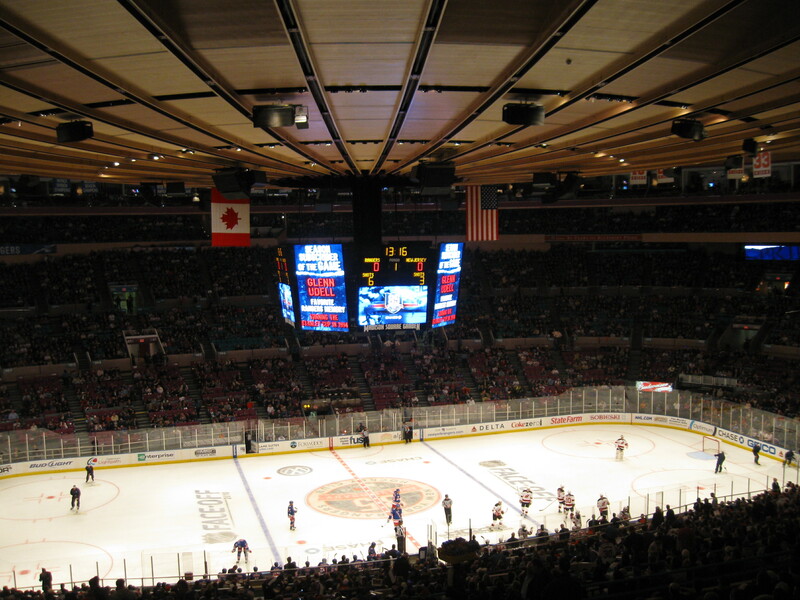 We’ve already lost Chicago Stadium, The Forum and Boston Garden, so despite plans for a new arena, I really hope it doesn’t happen just for my own selfish reasons to have an old barn remain in the NHL. There may be a ton more to do in New York City than in Edmonton, but that does not mean the hockey fans aren’t passionate. They are smart fans (loved the mock Alfie chant in Thursday’s Game 7) and it is raucous in there, especially up in the 400 section. MSG is extremely loud too. The Flames also haven’t been back to the playoffs in several years..but the C of Red is something to behold during playoff games. I think every one in that arena has a red Flames jersey on. The ebb and flow of a game is really noticed here just by hearing the crowd. Speaking of being decked out in colors, the Flyers crowd has now gone all orange and this is a place that keeps rising on my list. Though the arena is nothing special in my book, the simplicity of it help to make the crowd the star. Where Chicago and Montreal are too cavernous, the Wells Fargo Center‘s basic two-level oval provides a good set-up for noise and the crowd doesn’t get lost. San Jose is underrated and while most of the non-traditional markets aren’t among my favorites (though Nashville is growing on me), I’ve always admired what has gone on in Northern California. HP seems like an arena that suits my liking and the crowd has a lot of playoff experience….Now if they only can get to the Finals. Montreal – A European feel with incredible fans. Very loud.